New *Limited Time* special edition to the unisex Travel Cases. 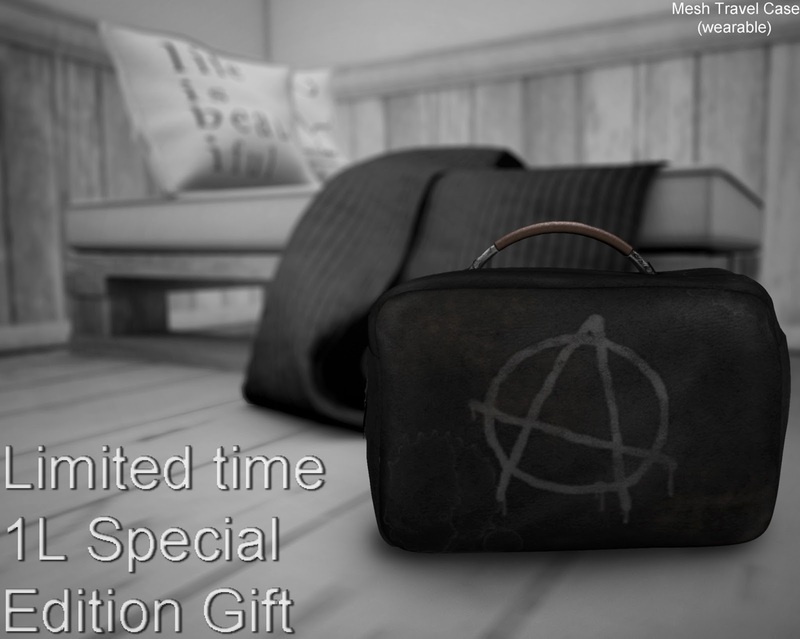 Find the Anarchy edition for just 1L for a limited time. Great for both gals & guys! Due to being special edition, this item is NOT transferable unlike it's Gacha counter parts. 25L Weekly Special on the NEW skin!